All SE Radio episodes feature original content; we don’t record conferences or talks given in other venues. 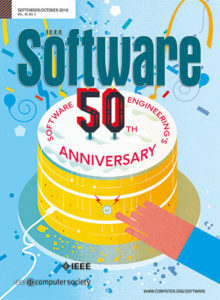 SE Radio is managed by the volunteers and staff of IEEE Software, a leading technical magazine for software professionals published by the IEEE Computer Society. All content is licensed under the Creative Commons 2.5 license. SE Radio was founded in January 2006 by Markus Voelter. It joined forces with IEEE Software in February 2012. Here are a couple of presentations/videos we recorded to let you know about the technology we use in producing podcasts.